Disclaimer: This review contains spoilers from the first seven episodes of KIZNAIVER. You have been warned. It’s always interesting to learn where the original ideas for beloved stories come from; it’s a common question for creators during interviews, and can range from childhood experiences, to academic interests, to virtually anything a creator finds inspiring. However, rarely do you find a story whose premise is based on wordplay. Kizu is a Japanese word that translates to “wound” or “scar”. 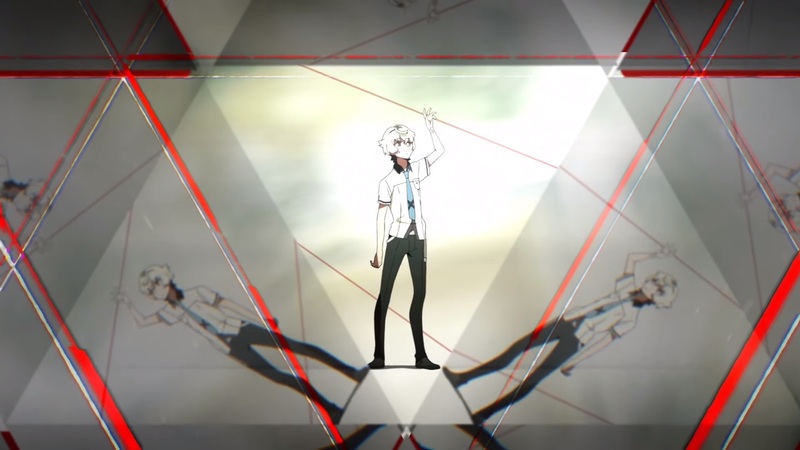 Kizuna translates to “bond” or “connection.” And there you have the premise for KIZNAIVER. 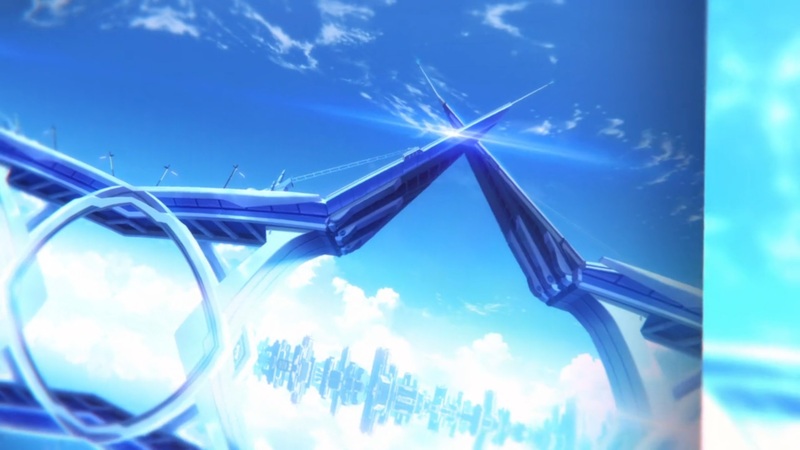 It’s a series about a group of high school students who are given a connection called the Kizuna System, which causes any pain endured by one of them to be split evenly between them all. It’s animated by Studio Trigger, the same studio behind Kill la Kill and Little Witch Academia. Anyone familiar with those series should recognize Trigger’s signature style in the visuals and action. It also shouldn’t surprise fans of the studio that KIZNAIVER is really weird. 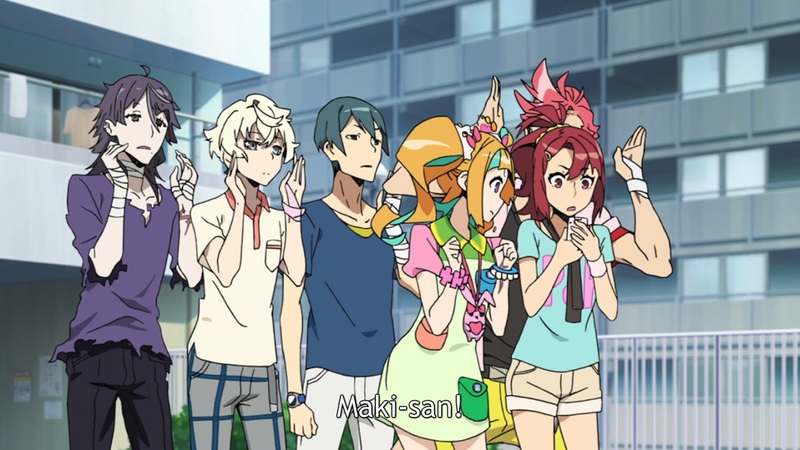 KIZNAIVER follows seven high school students – the apathetic, emotionless Katsuhira Agata; his energetic childhood friend Chidori Takashiro; the rough, hot-headed Hajime Tenga; the eccentric, childish Nico Niiyama; the sly, womanizing Tsuguhito Yuta; the cool, distant Honoka Maki; and the mysterious, masochistic Yoshiharu Hisomu. They have the Kizuna System put into them by Noriko Sonozaki, becoming Kiznaivers and gaining the ability to share each other’s physical and emotional pain. From the start, the characters come across as standard high school anime archetypes – see above with the apathetic protagonist, or the perky childhood friend – but as the series goes on, we quickly learn that there’s more depth to them than just these identifiable traits. 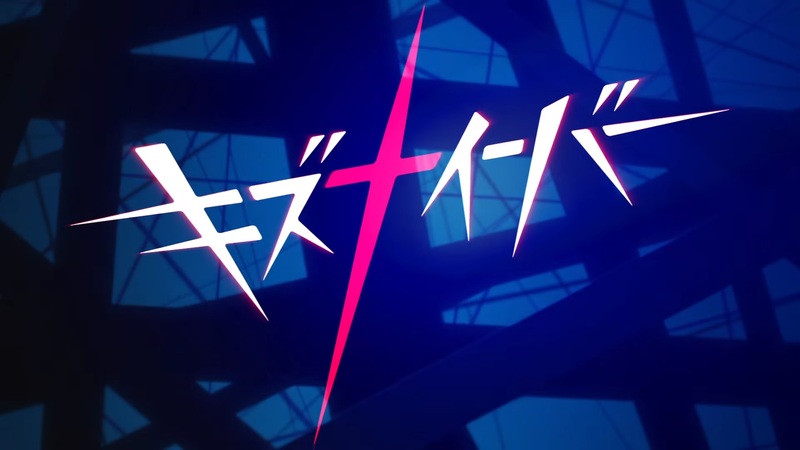 Similar to how Tengen Toppa Gurren Lagann is a reimagining of the mecha genre, and how Kill la Kill can be seen as a take on the magical girl genre, KIZNAIVER appears to be Trigger’s approach to making a high school slice-of-life series, with the Kiznaivers becoming closer and helping each other solve their problems. It makes me curious where the series will go from here; it also seems strikingly similar to last year’s Charlotte, with a group of high schoolers with a special bond to each other taking on tasks appointed to them by a mysterious higher power. The series has not been lacking in foreshadowing thus far, and there’s still a lot about the characters we don’t know. 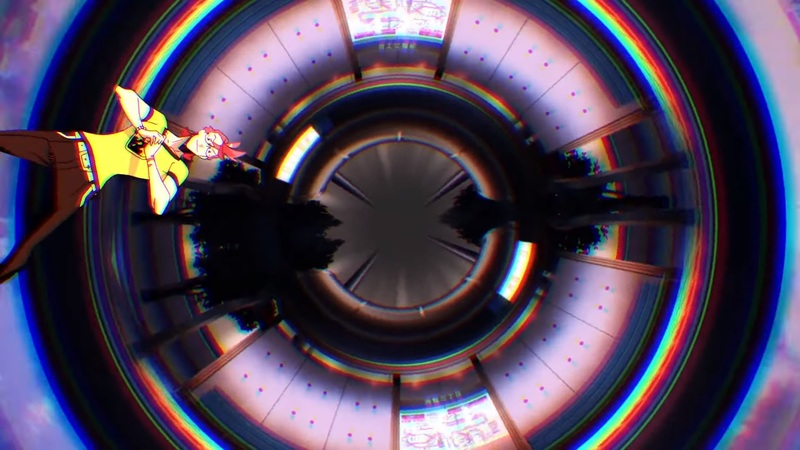 Even if I don’t necessarily like all of the characters – I find Katsuhira has too little personality to be an entertaining or relatable protagonist, and Chidori just comes across as annoying and high-maintenance – KIZNAIVER has me hooked and I will follow it to see how it all plays out. I will write a full, more in-depth review once the series ends. Until then, we can only wait and see where it goes from here. KIZNAIVER is available for streaming on Crunchyroll.